The history of the Civil Rights movement in the United States, and the strive of African-Americans for equality, is illuminated with many Jewish names. Rabbi Abraham Heschel marched with Martin Luther King. Lawyers such as Joel Spingarn and Samuel Leibowitz fought groundbreaking legal cases. Artists, like Bob Dylan, helped mobilize the masses to protests. Most important, many less known activists who marched and demonstrated for their fellow Americans. Some like Mickey Schwerner and Andrew Goodman would pay with their lives for their ideals. One early and sometimes forgotten hero of the Civil Rights movement was neither a lawyer or activists. 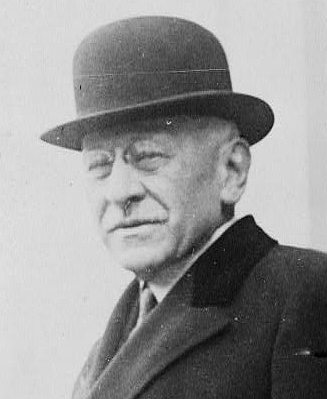 But a business mogul named Julius Rosenwald. Born in Illinois in 1862, he left his mark as a retail visionary. After advancing a successful family clothing business, he left it to invest and join the “Sears, Roebuck & Company” mail-order company. The predecessor Amazon a century earlier he would acquire a $400-million wealth. But with his massive fortune Rosenwald would search for meaning. He was deeply influenced by the ethical teachings of Rabbi Emil Hirsch of Chicago, and soon began applying his business vision to philanthropy. In 1910, after initially supporting Jewish welfare causes, he would read the monumental “Up From Slavery” by slave-born author and educator Booker T. Washington. A book that would take him on a life changing voyage. With his wife Augusta and Rabbi Hirsch traveled to Tuskegee, Alabama to visit Washington the “Normal and Industrial Institute” he presided over. Rosenwald was impressed and moved by the ambition of the young African American students and the school’s staff, and appalled by black living conditions in the South. His immediate donation was shoes for needy students, but within two years he would set up a fund establishing rural schoolhouses throughout the American south. Within 20 years he would fund more than 5300 schools. In many Rosenwald built teachers’ homes to support the schools. Rosenwald did not limit his contribution to education. He would support civil rights activist W.E.B Du Bois in his efforts for legal protection and political rights of America’s blacks. Interestingly Du Bois and Washington were adversaries within the African American communities. Washington advocating education and economical advancement while Du Bois focusing on rights. Rosenwald would not take sides and sponsored both. Furthermore, Rosenwald would also build sound public housing for the black population of Chicago. He also made sure that a proportion of his real estate portfolio was rented out to black owned business, often struggling to secure premises in the unofficial segregation marring Chicago. Back in the south he would build shops in areas where businesses refused serving blacks. Rosenwald’s life and friendship with Booker T. Washington was immortalized by filmmaker Aviva Kempner’s documentary Rosenwald in 2015.